India’s new Prime Minister Narendra Modi recently launched his flagship ‘Make in India’ campaign to propel the country into the top 50 countries in the World Bank’s Ease of Doing Business index by 2016. The focus is on facilitating the inflow of new technology and capital, while creating millions of jobs. The ambitious scheme, which also puts in place logistics and systems to address queries of potential investors in a timely manner, has identified 25 growth sectors. The Indian Government’s Department of Industrial Policy (DIPP) – nodal agency for the campaign – has approved a three to six months time frame for various government ministries and departments to implement a slew of regulatory reforms, aimed at making India an attractive investment destination. These might include reducing time for registering a business from 27 days to one day, single registration for all labour laws and an overhaul of tax systems. As of now, India ranks 134 in the World Bank’s index, behind China (96th rank), Pakistan (110) and Bangladesh (130). While the Indian Government’s intentions are obviously praiseworthy, it will do well to learn from the Singapore experience. Notably, Singapore has consistently ranked at the top of Ease of Doing Business index year-after-year. 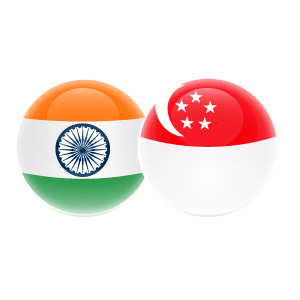 Thus, till such time India cut-shorts its infamous red-tapism, foreign entrepreneurs and companies are well-advised to use Singapore as the launchpad to their India businesses. With no capital gains tax, and one of the lowest corporate tax rates in the world, the time taken to incorporate a business entity in Singapore is just few hours, if all the paper-work is in order. Add to it, 75 comprehensive double taxation agreements and 8 limited treaties dealing with income from shipping and air transport enterprises, as well as no controlled foreign company rules, the city-state is easily the most preferred destination for company incorporation in Asia by a long distance. While Singapore provides the most ideal incorporation choice for foreign companies looking to expand in India, it also help foreign entrepreneurs tap into Asia’s other emerging markets. 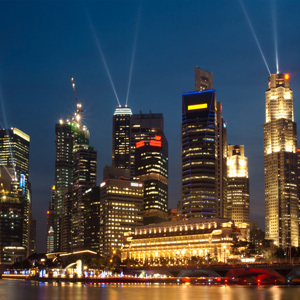 Singapore tax resident companies are taxed on profits derived in Singapore, as well as on foreign soil, which are then remitted to Singapore. 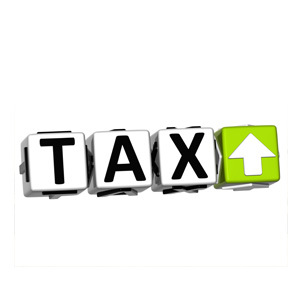 The corporate income tax, which is calculated on the basis of the company’s chargeable income i.e. taxable revenues less allowable expenses and other allowances, has its rate fixed at 17 percent since 2010. The headline corporate tax rate in India is 30% excluding surcharge and education cess. To compare the Singapore’s corporate tax rate vis-a-vis that of India and other major jurisdictions, use our free global tax calculator. There is also the CIT rebate announced in 2013 for year of assessment 2013, 2014 and 2015. 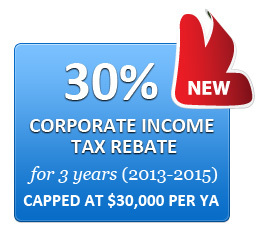 All companies are granted a 30 percent corporate income tax rebate subject to an annual cap of S$30,000, for these three years. 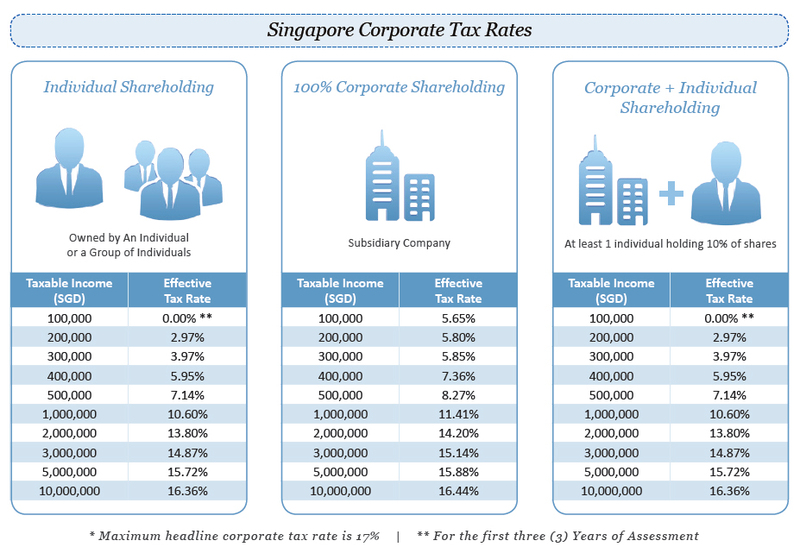 As Singapore has one-tier corporate tax system, corporate profits are taxed at the corporate level, which is the final tax paid. 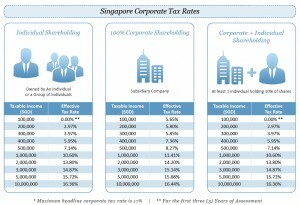 Thus, dividends distributed by Singapore tax-resident companies are tax exempt in the hands of their shareholders in Singapore. Additionally, Singapore does not impose any withholding tax on dividends. Another benefit of a Singapore holding company is that the country doesn’t have a capital gains tax regime. Income tax is only imposed on the gain on disposal of shares/investments if the gain is regarded as a revenue gain sourced in Singapore. Importantly, the above exemptions apply only when the headline corporate tax rate in the foreign country from which the income is received is at least 15%, and the income had already been subjected to tax in that particular country. Another factor to consider is avoidance of double taxation between India and Singapore because sometimes India sourced income of a Singapore tax resident company may be subject to taxation twice – once in India, and then in Singapore when the income is remitted here. The government, in 2011, also introduced a FTC pooling system to give businesses greater flexibility in their FTC claims, reduce the taxes payable on foreign income, and to simplify tax compliance. The eligibility conditions were the same as in FSIE i.e. the headline corporate tax rate in the foreign country from which the income is received is at least 15%, and the income had already been subjected to tax in that particular country. Thus in summary, while Singapore provides the most ideal incorporation choice for foreign companies looking to expand in India, it also help foreign entrepreneurs tap into Asia’s other emerging markets such as China, Thailand, and Indonesia.